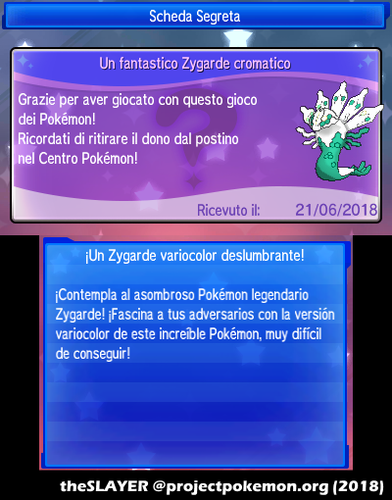 2018 Legends: Shiny Zygarde . The Nintendo Network redemption (EU 3DS) runs from June 01 to 22, 2018. The Serial Code cards (US 3DS) can be obtained at GameStop stores between June 01 to 24, 2018. The end date for the serial code redemption is not known at this point. 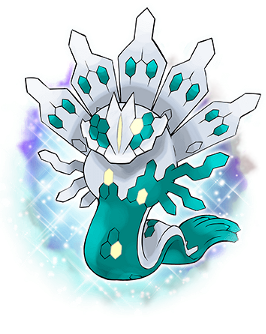 This marks the first time Zygarde being able to be obtained shiny. This file is now closed to further comments.